Are People Swapping the Bingo Hall in Favor of Playing on Their Mobile/Tablet Device? Rate this Article Mention Bingo and grainy images of yesteryear spring to mind, but in truth, is it slowly slipping away in this day and age? Let's find out! Mention Bingo and grainy images of yesteryear spring to mind. For so long a part of British high streets, bingo halls refuse to go quietly into the past, becoming memories contained in grainy photographs. For a pastime which suffered the derision of comedians for decades, bingo is doing rather well. Thriving, in fact. Sport England reported last year that 1.7m British people play tennis each month, compared to 800,000 people who, according to Chief Executive of the Bingo Association Miles Baron, enjoy bingo each week. Just under half of those players still regularly visit their local bingo hall but the growth area in bingo is online. 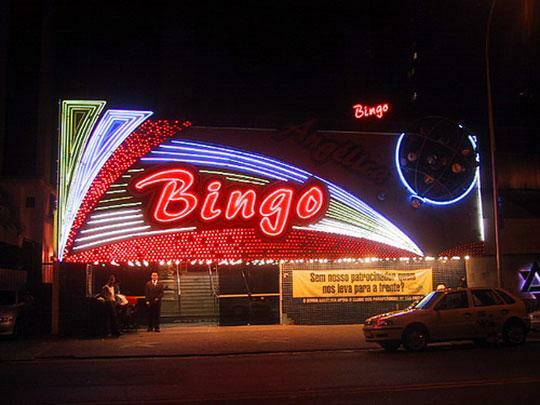 Baron declared “The decline of bingo is grossly exaggerated. It’s been pummelled a bit and lots of things have gone against it over the last 10 or 15 years, but it’s still here. " Not bad for entertainment which was previously mocked as the domain of the family matriarch in her rollers, headscarf and all. At its’ heart, bingo is a sociable game, making it perfect for the medium of the World Wide Web. Online gaming is as much about the game itself as it is connecting with players around the globe. Despite the positive vibes, it isn’t all good news. The bingo hall is under threat. In the mid-1990s, there were 1,200 in the nation’s high streets. That number has fallen to just over 300 now, with competition from the National Lottery and more damagingly, the ban on smoking in public places. The problem became so chronic that three years ago, austerity chancellor, George Osborne, cut bingo duty to 10%, half its’ previous level. The popular image of a ‘girl’s night out’ is bingo’s saving grace. With the majority of players being female, the safety of a member’s only environment is hugely attractive. There is an inherent friendliness about the place where social pressures don’t exist. Being brought up in the environment helps. It’s frequently portrayed as a mother and daughter event, with aunts, nieces and friends all entering the fray. Male family members, while not excluded, are conspicuous by their absences. While the mainstream bingo halls see numbers down, some are trying to bring the game to a younger audience. Rebel Bingo in London took the game to a younger market. No one knows how this will work in the future. Will it provide the giants of commercial bingo with a future audience? If only 10% move to more traditional bingo halls, the impact could be quite noticeable. With extended family and friends, the numbers each month could quite easily reach thousands. The tentacles of the World Wide Web didn't take long to impact on the game. Online gaming continues to be a growing market with no signs yet of saturation. Bookmakers whose primary income comes from sports embraced the technology and rapidly moved to diversify their offerings under the umbrella of online gambling. If you visit any of the online bookmakers, there is a casino and bingo alongside the expected wagers. This is particularly true of casinos, whose existence is solely online. Bringing the excitement of bingo into the living room gives online gaming a distinct edge over an evening out. Multiplayer games, as well as chatrooms, bringing the social dimension to players. What was a night out, is morphing into a night in. Intriguingly, there is a crossover between bingo halls and online gaming. There is a healthy audience which enjoys both environments, something which bodes well for the future. Perhaps the biggest threat to the long-established commercial halls comes from mobile technology. As telephones become less about talking to people than the speed of their internet connection, online gaming has a new medium into which it can expand. This mobility, allied to the convenience of playing when it suits the individual no matter their circumstances, is a winning combination. Repeatedly told that time is precious, a small amount of escapism in an online bingo hall can be an attractive proposition. The co-existence – and cross-pollination of the two sets of players – is a healthy sign for the industry as a whole. Its strength comes from the very aspect which provided such rich material for comedians in the past. The tradition of mother passing the ‘bingo bug’ to daughter offers a strong foundation upon which to build a new future. With the modern take from ventures such as Rebel Bingo, that future looks brighter than it has for some time.